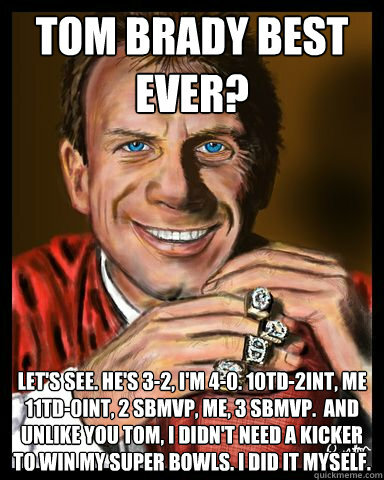 tom brady best ever? Let's see. He's 3-2, I'm 4-0. 10TD-2INT, me 11TD-0INT, 2 SBMVP, Me, 3 SBMVP. 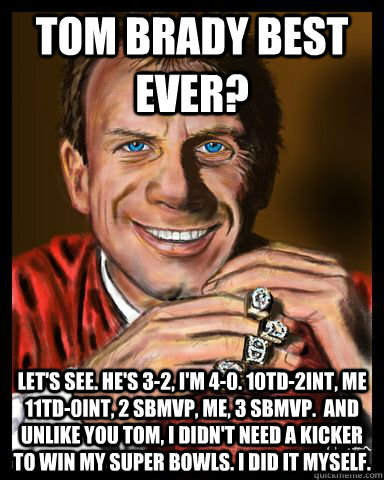 and Unlike you Tom, I didn't need a kicker to win my Super Bowls. I did it myself. 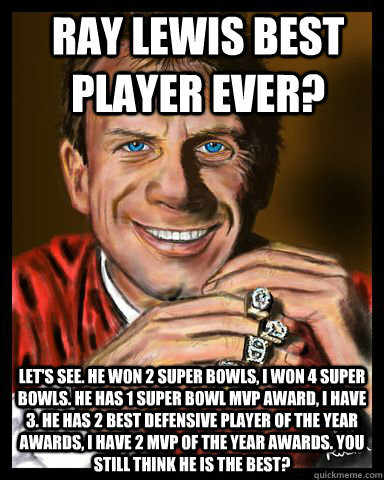 Ray Lewis best player ever? Let's see. 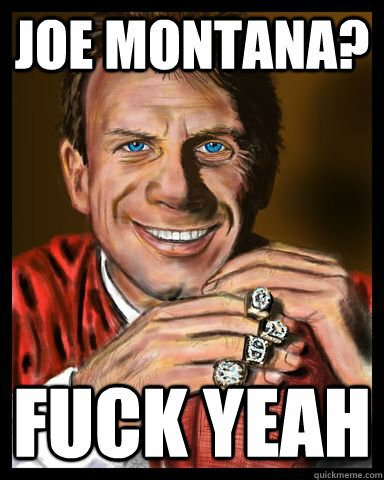 He won 2 super bowls, i won 4 super bowls. 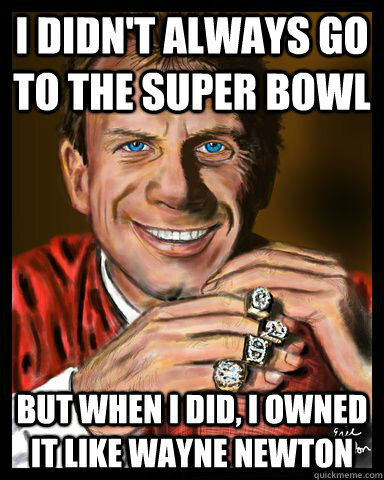 He has 1 super bowl MVp award, i have 3. He has 2 best defensive player of the year awards, i have 2 Mvp of the year awards. 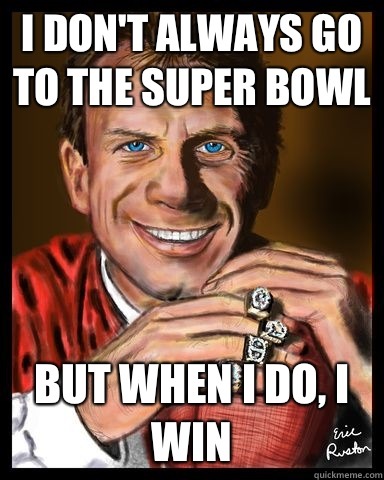 You still think he is the best?